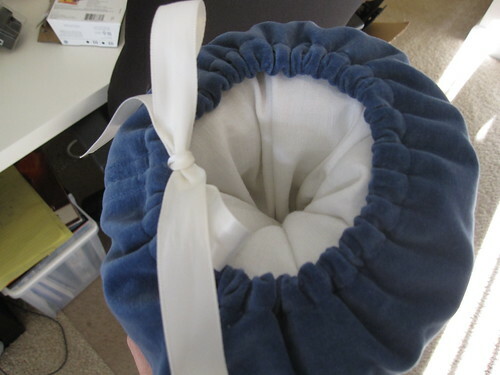 I made these for Poe, but then neglected to upload photos. I finally pulled the pictures off the camera today. 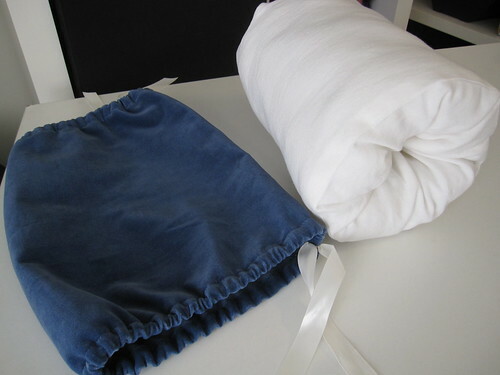 These were just super-fast projects, made in a weekend, with most sewing done by machine. 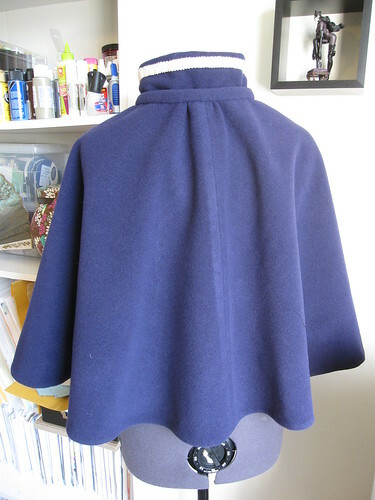 The cape is wool from the stash, lined with linen, and trimmed with some leftover braid. 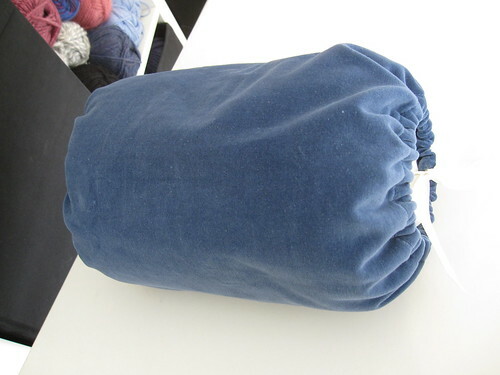 The other project was a muff, which I made as just a simple linen pillow with a velvet cover. 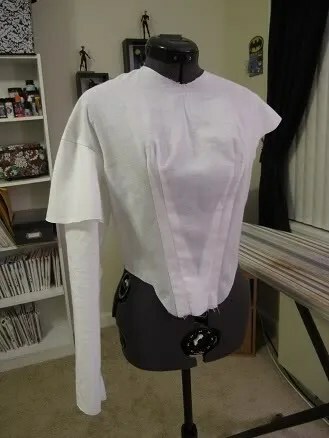 Yes, I did finish this last spring for Costume Con, but I finally took the time to take pictures for my website, which means I can post something now! 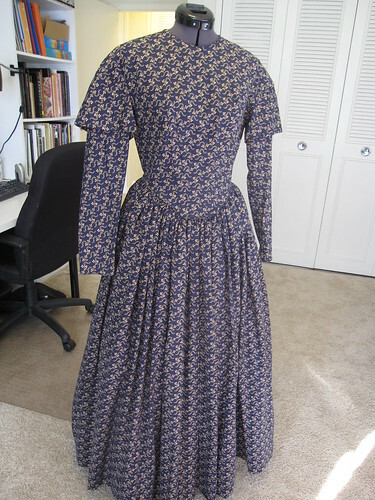 I used the Laughing Moon 1840s dress pattern, the basic fitted view, but changed to be back-closing. 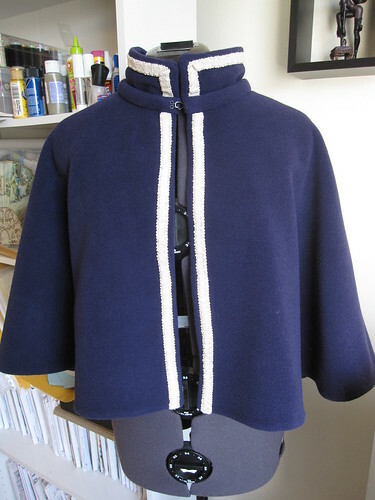 I had to adjust the darts to fit me, but other than that the pattern worked really well. 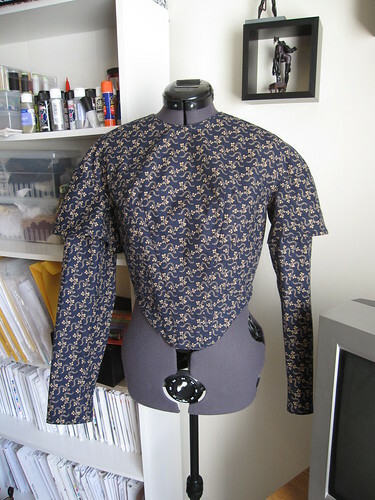 The most time-intensive part was doing the piping around the edges of the bodice and in the armholes. It’s been awhile since I’ve posted, I know. I’ve been super busy settling into my new job. 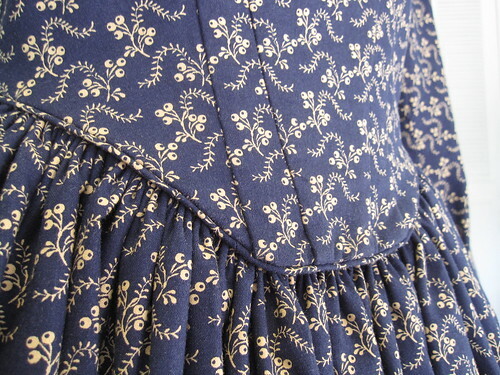 But I have done some sewing, although not nearly as much as I would like. 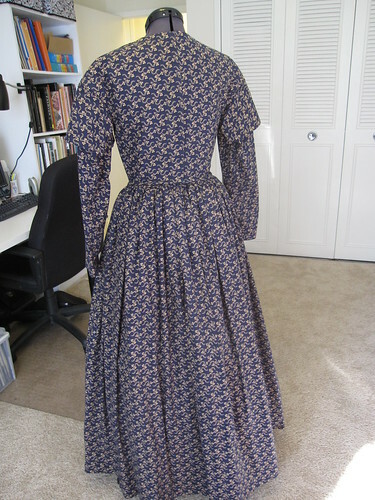 I have done more on my 1840s dress and hope to get it finished for costume con. 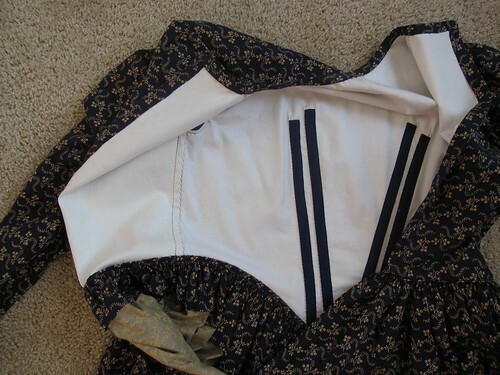 The sleeves are in and the piping is finished, so it’s on to skirt attaching! 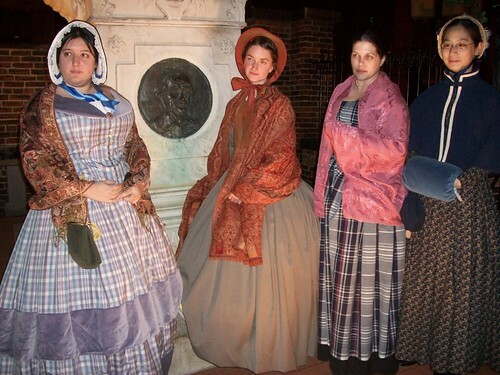 I’m finally getting around to preparing for an event celebrating Edgar Allen Poe’s birthday in January. 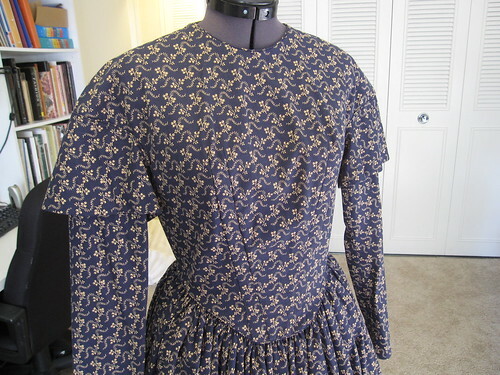 I got the Laughing Moon 1840s pattern, and worked on a mock up this past week. I think I’ve just about got a version I can work with.